Item1991.028 item 237 - I enchoy lots dair shmoking of mine pipe in Brampton vhile den mein thoughds iss only for you. Inglés » 1150. 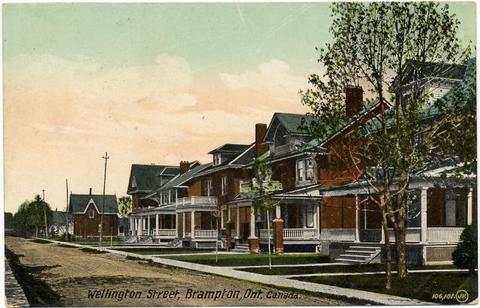 Wellington Street, Brampton, Ont.